Around the time I was finishing up Portland Beer in 2013, Jeff Alworth was in the process of completing and submitting the manuscript for The Beer Bible, a substantially more intricate project. My book hit shelves several months later, providing nearly instant gratification. Jeff's book languished in production. Next week it arrives. At last. There's a pretty good story behind how this project materialized and how Jeff became it's author. I'll get to some of that. For now, the important thing to know is there will be a release party for The Beer Bible on Tuesday, Aug. 11, at Belmont Station. Jeff will be there 5-7 p.m. signing copies of the book and talking about its innards. I looked at proofs of the book a while ago, when it was still in production. The content is rich and engaging. It's just what I expected from Jeff, an accomplished researcher and writer. But I'm not here to review the book. I only want to talk about its evolution and likely impact. Back in 2010 or so, Jeff pitched the idea of a book covering breweries around the Northwest. His publisher didn't bite. The book he hoped to write became Lisa Morrison's Craft Beers of the Pacific Northwest, published (by another publisher) in 2011. Some things just aren't meant to be. In response to Jeff's pitch, Workman Publishing suggested a different approach. It turns out they had published The Wine Bible, by Karen MacNeil, in 2000. That book was well-received when published and a best seller. 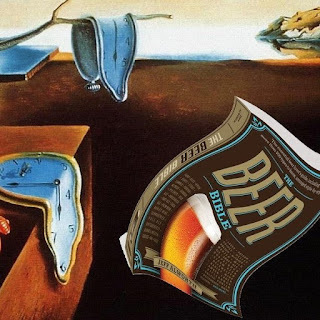 Workman looked around and noticed what was happening in craft beer. They thought a beer-centric companion to MacNeil's book might be in order. "Wine and beer audiences are very different," Jeff says. "Wine people aren't quite sure they understand wine, so they buy books to learn more. Beer people are different. They typically think they know about beer and are less likely to buy books about it. But Workman thinks there's a good audience for The Beer Bible and I think and hope they're right." Getting the contract to write the book apparently involved an odd competition between rival writers/authors who submitted versions of what chapters might look like. Eventually, Jeff earned the privilege of writing the book. He signed the contract in 2011. That's when the real fun began. Over the course of the next two years, Jeff traveled by plane, train and automobile to more than 50 breweries in six countries. He knew his book could not be organized by growing regions, as had been the case with MacNeil's wine book. 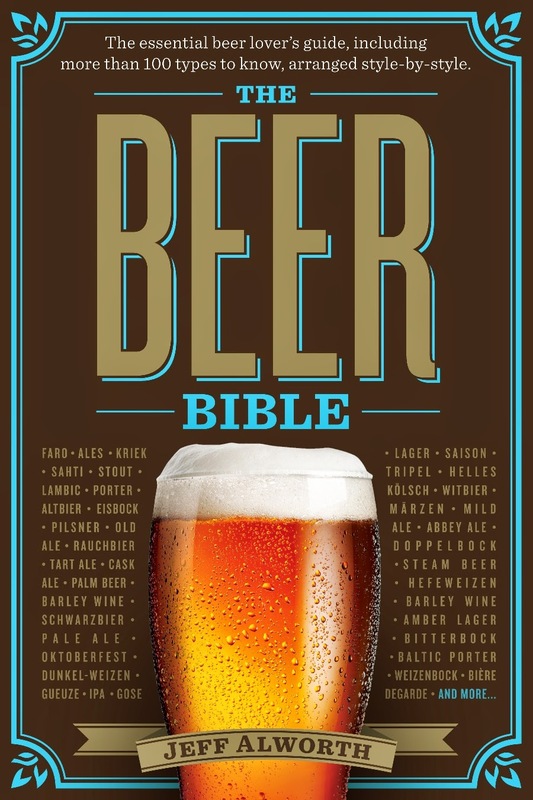 Instead, The Beer Bible is based around styles and history. There are 31 chapters dedicated to exploring and defining the world's beer styles. "The idea was to create something that is comprehensive, yet interesting and in some sense entertaining," Jeff said. "That's what MacNeil did with The Wine Bible and that's probably why it's been so successful. I took that approach and applied it to beer, to the extent possible." In addition to the Belmont Station release, there are some other notable events listed on Jeff's blog here. There's also a 24-city tour in the works, which makes sense. The book has been trending as the top new release in the wine pairing category on Amazon. If you order the book through Powell's, you'll receive a copy signed by Jeff. He hopes to sign many in support of the promotion. 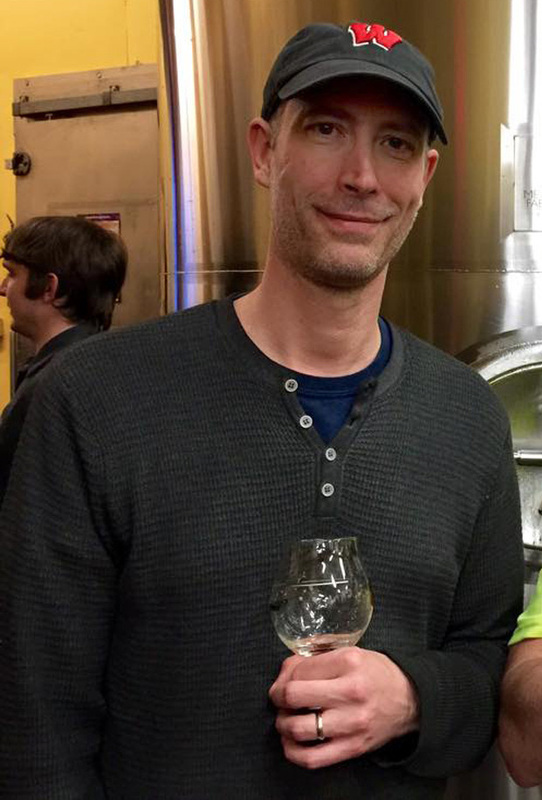 What will The Beer Bible mean for Jeff Alworth? This is a guy who has been writing about beer and other things for a long time. Is this a game-changer? "I have no idea what the book will do for me" he said. "If it sells a third of the 500,000 copies The Wine Bible has sold, it will be immensely successful for a beer book and I'll be delighted. I can't see the future, but I do hope this book helps me get similar projects down the road." Having seen the content, I expect the book will become an essential reference for craft beer fans, in the same way books by Fred Eckhardt and Charlie Papazian are references. The Beer Bible may also help Jeff attain a level of notoriety that few who write about beer ever do. We shall see. Regardless of all that, the Belmont Station release party is the place to be next Tuesday. Grab a pint, meet Jeff and talk beer, get a signed copy of his book. Good times. If you can't make it on Tuesday, check out one of the other local events.